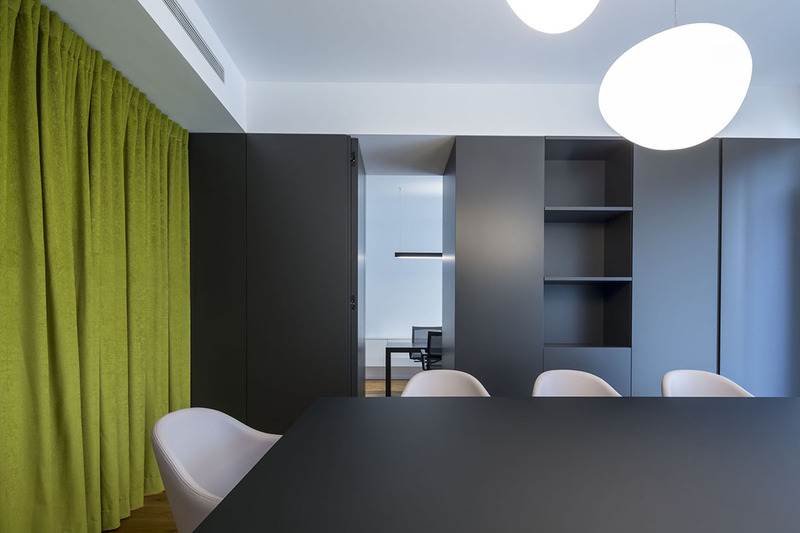 The organisation of the flat has been completely transformed introducing a new hierarchy of the space and suiting it to the demands of the current owner for a more fluid and dynamic space. 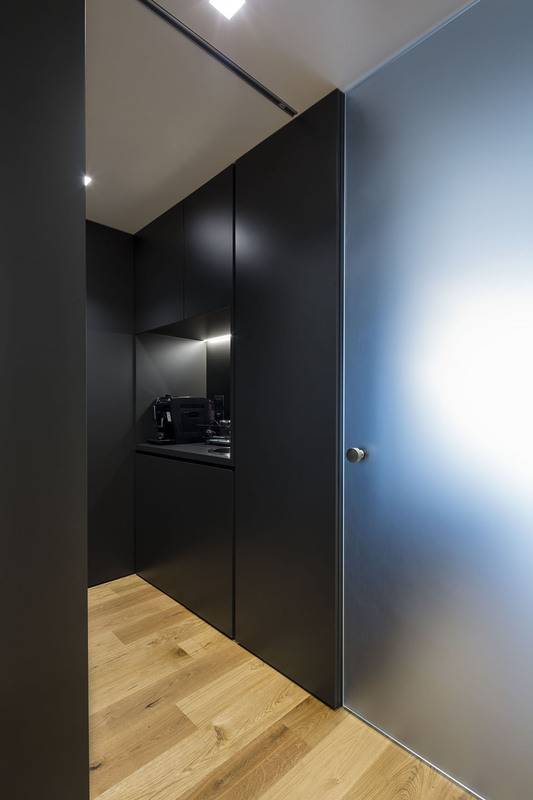 By modifying the accesses, the corridor has been implemented of the kitchen which is contained inside a wall unit. It becomes a filter between the night zone and the day zone, guaranteeing the presence of a wide living room. The history which is an integral part of the building system is rediscovered revealing the elements hidden by heterogeneous following layers. The new image of the flat is simple and unique: the uniform floor in cement-based resin contrasts with the weaving of bricks and beams.